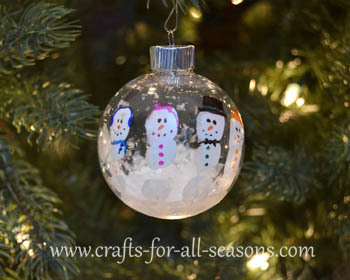 The Creative Crafter - Fall and Christmas Crafts Galore! Welcome Fall! This is my favorite time of year, as well as my favorite newsletter to send out. 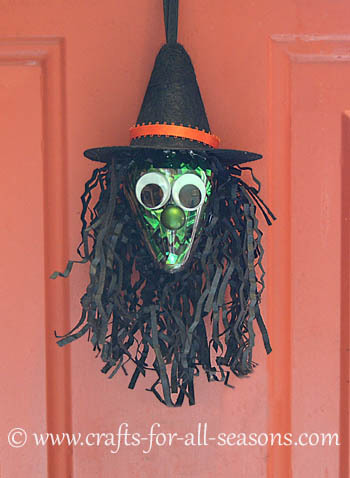 The next three holidays are the BIG ones and we all know there is plenty of crafting going on. Some of you are preparing for holiday craft fairs, or creating gifts for loved ones this holiday season. 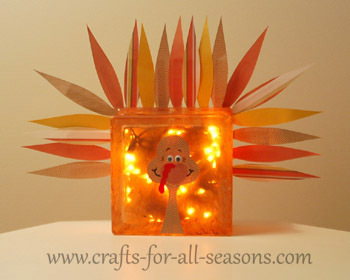 Children will be busy making holiday crafts at their school parties. If you find yourself looking for ideas, be sure to stop by the site and browse the holiday categories. A special note: Sometimes this ezine will not show EVERY new craft that has been added to the site since the last issue. 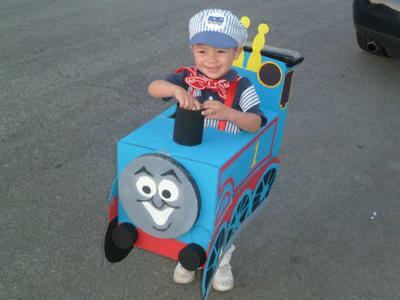 Reason being, I want to keep the crafts I present to you current for the upcoming holidays. Not to worry, every craft will eventually be shared with you, as the next appropriate season/holiday for the new craft approaches. 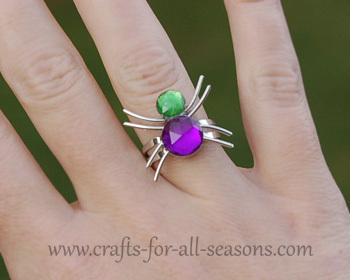 Remember, you can always see new crafts immediately by following my blog, my Facebook page, Google+, or my Twitter feed. 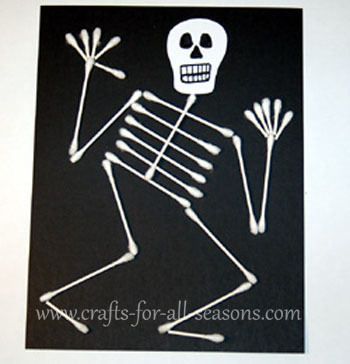 Crafts For All Seasons has a growing collection of homemade Halloween costume ideas. 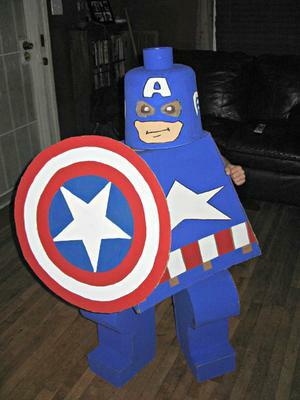 If you need a little creative diy inspiration on what to be this year, be sure to check out the page. This latest submission by Joe shows how amazing you can look with the right makeup! Joe shows us step by step, with lots of photos, how to create this doll face using makeup. 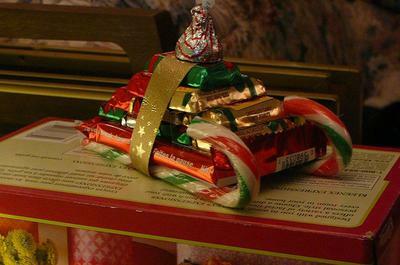 Margo shows how to make a practical gift, because it is made out of candy! It makes a great holiday decoration too! This would be perfect for a host/hostess gift, or as a gift for a teacher or a special friend. Here's some other recommended projects from the site, to celebrate our seasons and holidays coming up! 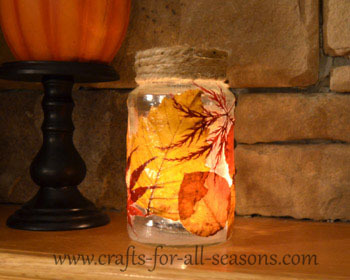 Decoupage real leaves on a mason jar, make a skeleton out of cotton swabs, or make a gem spider ring. 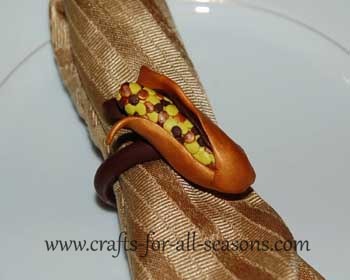 Try out the glass block turkey, polymer clay napkin rings, or show your thanks with the thankful turkey craft. 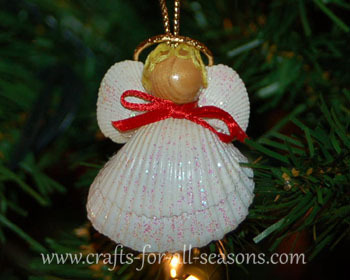 Crafts For All Seasons has plenty of homemade ornament ideas... how about a candy cane, handprint snowmen, or a seashell angel this year? Subscribers only get access to a new craft each quarter. You will need to enter a password when you follow the link to the page. The password is "yarn". 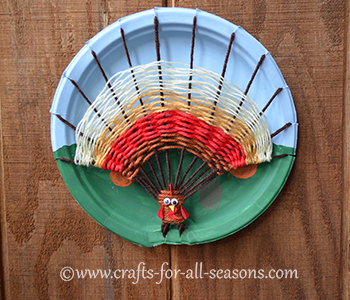 This turkey is made on a paper plate, and its beautiful tail is created by weaving yarn, over under, over under. It is a great project for kids of all ages. 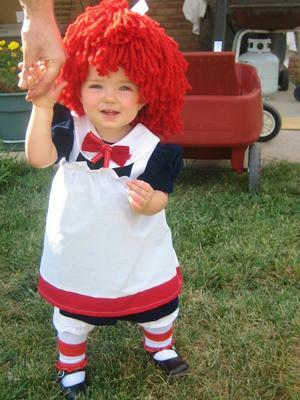 Young children may need some help, but weaving is beneficial for fine motor skills. This project is wonderful for the classroom. 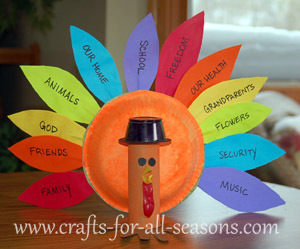 If you provide a variety of different colors of yarn and ribbon, each turkey will come out different. As always, you can contact me with any specific questions you may have. 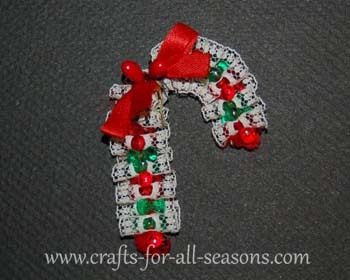 My next newsletter comes out in early January and will include Winter and Valentine's Day crafts. Thank you as always for subscribing and for your continued support. I am so thankful for my followers and visitors! That's all for now! I hope you each found a craft you would like to try making, or some inspiration to try a new one.